The sycamore tree -- scientific name Platanus occidentalis -- is native to central Europe. The tree is found most abundantly in Switzerland, Austria, Italy, and Germany. Sycamores are also found in Great Britain. In the United States, the sycamore tree is cold-hardy in USDA gardening zones 4 through 9. The bark of the sycamore tree is smooth. When the tree is young, the bark is grayish. In maturity, the bark is almost white. The bark flakes off in strips of various lengths as the tree increases in girth. 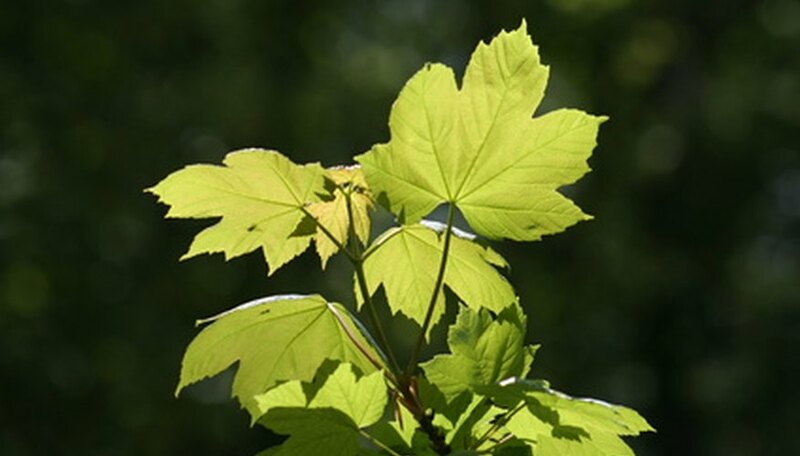 The leaves of the sycamore tree are shaped like maple leaves. Because of the leaves, the sycamore tree is sometimes referred to as the Great Maple tree. The leaves are light green, and turn golden during the autumn. The tree is deciduous, and loses all of its leaves during the fall. The sycamore tree grows very rapidly. Sycamore trees that are 10 years old reach up to 25 to 28 feet tall. Thereafter, the tree grows at a steady pace until it is full-grown. A full-grown sycamore reaches 50 to 60 feet tall in 50 to 60 years. Blossoms appear on the sycamore tree in March or April, shortly after the leaves start growing back. The flowers are small and green. Each blossom has six or eight petals, and the same number of sepals and stamens. Sycamore trees prefer moist, well-drained soil. Soil that is too clay-like can be mixed with gardening sand or perlite, at a ratio of 1 to 1, to create the proper environment. Sycamores prefer full sun, and should be planted in an area that receives at least eight hours of direct sunlight per day.